The Hartford Yard Goats baseball team, known for its fun giveaways, wacky theme nights, biting social media account and community outreach, has been named the best promotional team in Minor League Baseball's Eastern League, the league announced Wednesday. The Yard Goats are now a finalist for the prestigious Larry MacPhail Award recognizing the MiLB club with the most outstanding and creative marketing and promotional efforts. Minor League Baseball will announce the winner in December at the sport's winter meetings in Las Vegas. The Yard Goats become only one of 14 finalists in baseball for this award out of 160 minor league clubs. If the Yard Goats win the Larry MacPhail Award, the team would become the first winner ever selected from the state of Connecticut. The team hosted special theme nights throughout the season, including "What If Night" where they played as the Whirly Birds, "Steamed Cheeseburger Night" and "Whalers Alumni Weekend." 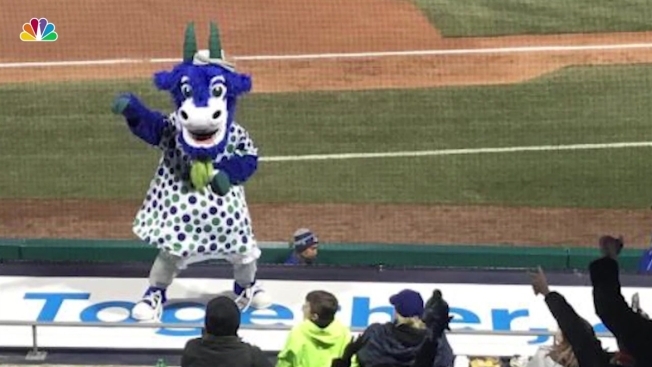 The Yard Goats also played three games during the season as "Los Chivos de Hartford" in recognition and support of Connecticut's Hispanic population. The Yard Goats 2019 home opener will be on Thursday, April 11th at 7:05 PM against the New Hampshire Fisher Cats at Dunkin’ Donuts Park in Hartford. The Yard Goats start next season on April 4th in Richmond, Virginia and have a week-long road trip before the home opener on April 11th.